“I have five kids so watching a movie is a big event for my family, you know?” someone once told me when I asked if he liked going to the theater. He went on to talk about how expensive a single ticket was and how he would have to get each of his kids a snack and all that stuff. I guess because a movie-watching experience really isn’t complete without the popcorn and the soda, etc. etc. It’s why I love/d watching movies in the theater, too. Aside from the big screen and surround sound and all that, of course. Because it is a whole experience. You’re not just there to see a film. You’re there to experience it. Which is why, lately, I haven’t been going to the movies. Because as with a lot of other kinds of experiences, watching movies has become quite painful. First, it’s become really expensive. Ticket prices have literally doubled since I stopped watching movies often. Probably the only reason I can still watch movies now is because I can use the points on my credit card. Everything I see and hear and touch and smell and taste is a reminder of all the movies we ever saw and all the theaters we ever went and all the popcorn we ever shared and all the arguments-turned-jokes that we ever had about plot holes, continuity errors, temporal paradoxes and whether or not John Williams is the greatest composer who ever lived. How do I erase the memories? How do I replace the memories? How do I enjoy watching movies again? Right. It’s more than halfway through the season so I think it’s safe to say that so far, this is the best season of The Walking Dead. I mean, of course Season 1 is still the best. But that only had 6 episodes and of course introductions are always great and Frank Darabont is hard to beat. Not that I think that anyone’s trying to beat him. I think everyone pretty much agrees that Season 1 was great. I mean, it’s the reason why this series earned a big following in the first place. Aside from that the graphic novels are great, too. At least, the first issue was. Unfortunately, I never got to read more of it. But I have to admit that I understand the reason why some people have dropped out of watching this series as early as Season 2. Because in Season 2, the characters basically spent 3/4 of the season in Hershel’s farm and hardly dealt with any zombies. It was just full of human drama, which would be okay if this were a different show, but it’s The Walking Dead and people expect zombies. Actually, a lot of human drama would be okay if the characters were great, but Lori Grimes and Andrea are the worst characters on TV ever. It’s really too bad because I liked the actresses they cast in those roles. But I don’t miss that season. Except that Shane was there. Poor Shane. I understand why Rick had to kill him but I really wish he just went on his own and maybe would meet up with the group again later. Like in this season. Although, I think Morgan is the one who will be doing that. Remember Morgan? It’s so strange how a character that only appeared in two episodes prior to this season had such a big impact that when you saw him in this season, you just know something big is going to happen. And he hasn’t even met up with Rick Grimes yet. Anyway. I really love how they were able to bring this show back. I have to admit towards the end of Season 3, I almost dropped out. The whole Governor and Woodbury thing just didn’t work. And yes, the prison was cool, but it’s really great that they got out of there. Even though it led them to Terminus, where a bunch of cannibals were waiting for their next kill. Well, that’s what the show is supposed to be about, right? Survival adventure. What I like the most in this season is how they brought back the situations where you can put yourself in and ask yourself the question the characters are asking themselves. They did that a lot in Season 1 and in Season 2 as well and I guess it got lost in Season 3 and 4 because of all the Governor crap. For example: You see some bottles of water on the road with a note that says “From a Friend”. You’re dying of thirst, but conventional wisdom tells you that you shouldn’t trust anyone. So. Do you drink it? Or don’t you? It was kind of the same with Randall in Season 2. They debated a long time on whether or not they needed to kill him. I think they should’ve and when I first watched the show I hated Dale for saying they shouldn’t. But after a few more times of watching, I guess I kind of understand Dale’s point, that they shouldn’t become monsters just because the world ended. I honestly think now that if Dale hadn’t made that point, Rick would’ve ended up just like the Governor. I think it was an amazing speech and I totally got goosebumps when Rick gave it. And they were around a campfire and the thunder cue was just right. Goosebumps, I tell you. And then I went on the Internet and everybody ruined the thing. I guess I should know better. But I really don’t understand why people had to crap all over that speech saying it was too “on the nose” (What does that even mean?) and that it’s so corny when characters say the title of the show in their dialogue. What’s wrong with that? And what the heck are these people looking for in shows anyway? I mean, they’re all free to write their own shows if they think these writers are doing such bad jobs. Let’s see them do better, right? But, of course, it’s pointless getting angry at these things. I mean, it’s not like I’ve never criticized anything ever before either. And I really should know better than to read comments on the Internet. But… There is that feeling you get after watching a show that you just want to talk about it or listen to people talking about it or read what people are writing about it. And because I love the show, I really want it to do well and hope that the next episodes get better that no critic would trash it. I mean, there will always be trolls of course, but who cares about them? 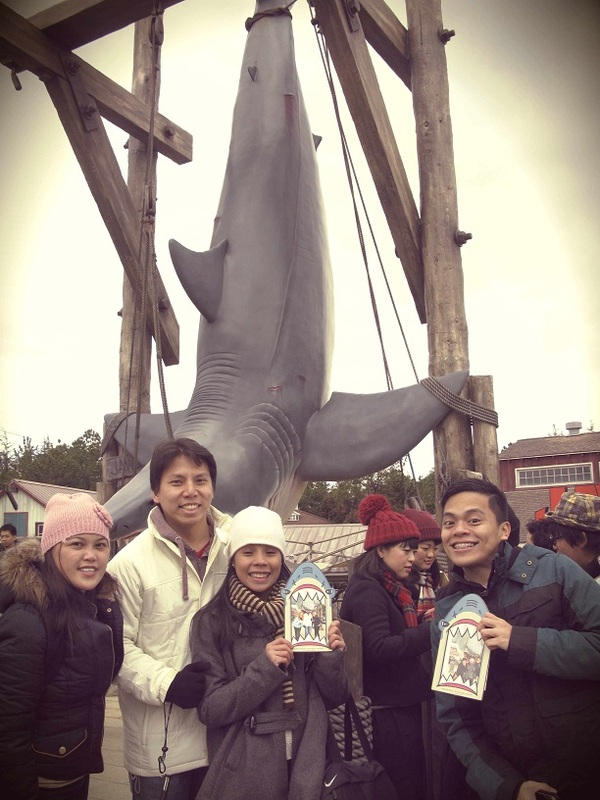 Perhaps because we passed by Amity at Universal Studios Japan and it took me a while to realize what movie it was from, despite the place having a great white shark hanging upside down from a pole, or because I’ve just heard the line “We’re gonna need a bigger boat” too many times in movies and TV shows and I could never relate to it, despite that I knew it was from Jaws, but anyway, today I decided to finally watch the movie. Now, it’s a classic and it’s Steven Spielberg so I knew it was going to be good and I decided to watch it in the office in fact and not at home alone at night so I wouldn’t be scared because I’m just a scaredy cat like that, but given that it’s a 1975 movie, I really thought that I would be disappointed with the special effects and things. I mean, it’s 2015. The movie is literally 40 years old. But I guess that’s the character of a true classic, right? If it stands the test of time. I don’t know about you, but I was so scared of that stupid great white shark and I know we should love all animals and all that but towards the end of the movie I really wanted it to die. And OMG, it died in such a cool way, I totally get why this movie became a classic. Anyway, new respect for Roy Scheider, whom I always liked in Sea Quest and never knew until now that he was the one who said said famous line, “We’re gonna need a bigger boat.” And Richard Dreyfuss, to me, has always been one of those familiar Hollywood names but I never knew where he was from and now I know. And he’s funny. I don’t know if he was supposed to be funny in this movie but he was. Watching movies like this make me understand why people say Hollywood’s gone down the drain. I mean, yes, Inception was amazing, but this is the kind of thing that sticks with you. I mean, I think I might now get paranoid the next time I swim in the beach. This movie is powerful! This is Meatlug from Dreamworks’ How to Train Your Dragon. I haven’t seen the sequel yet, even though it’s playing in theatres now, but I bought him and Toothless from the store anyway. As “payment” to my friend for downloading all 10 episodes of Season 4 of Game of Thrones for me. Well, it ended up being for everyone in the office, but I was the one who asked him to do it, so I felt like I should thank him more. Anyway, before the season ended I asked him what he wanted and he said that he wanted a dragon. I was thinking of giving him a Game of Thrones dragon, except I have no idea where you can buy those things (well, maybe I have an idea), and they’re probably too expensive anyway. Also, he doesn’t watch Game of Thrones himself so I felt like How to Train Your Dragon was a better way to go, in terms of small dragon figurines. Actually I thought of Pokemon, too, but I don’t really like that series. 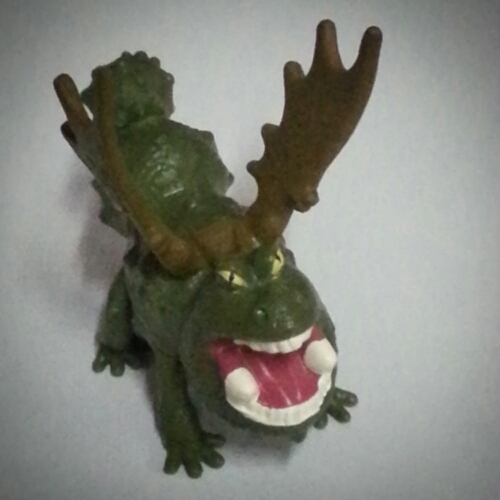 Anyway, I was originally going to buy just one, just Toothless, but this one was too cute to resist. Err… I guess it’s not exactly a “cute” dragon. But it looks nice on my desk so I’m going to keep it. And I hope that my friend whom I gave Toothless to, likes his one as well. I can’t wait to watch How to Train Your Dragon 2. I feel a bit sad that I haven’t had time to go see it until now. I’ve heard really good reviews and I really liked the first one so I’m quite sure that I’ll enjoy this one as well. 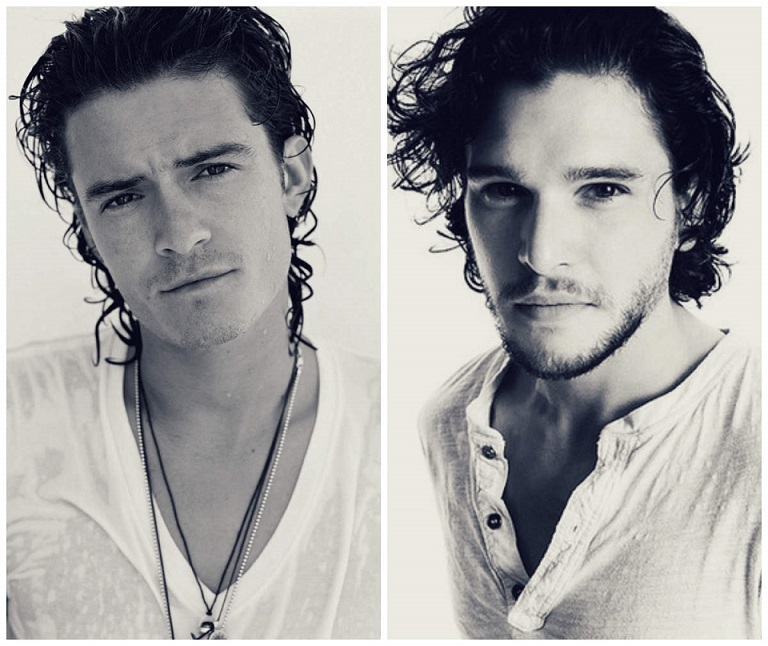 Kit Harington is the new Orlando Bloom. You can’t ignore the similarities between them. They both became famous because of a fantasy series–The Lord of the Rings for Orlando Bloom, Game of Thrones for Kit Harington. And they’re arguably the two best fantasy series that exist (so far). And they play somewhat similar characters, both kind of quiet and brooding, despite one being an elf that has white hair and many white clothes and the other wearing all black clothes and using black weapons and stuff. In real life, they’re both English, they both have dark curly hair, and… Well those are really all the similarities you need to be compared to each other. Although it actually wasn’t LOTR and GoT that made me think of their similarities. 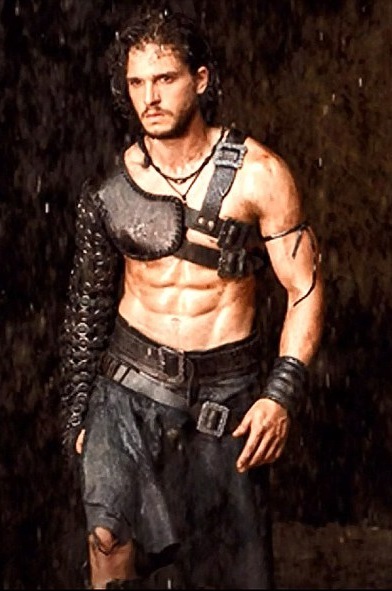 I just watched Pompeii, where Kit Harington plays Milo. 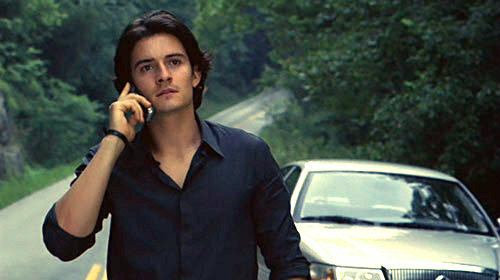 And I think because it’s a period piece, I was reminded of Orlando Bloom’s Paris in Troy. I know, their stories are very different. Troy’s scale is more grand and Pompeii is half a disaster movie. But I think you get my point. Interesting note: Orlando Bloom was 27 when the movie Troy came out, and Kit Harington is 27 this year that Pompeii is out. Coincidence? I think not! And I don’t even care that Sirius Black was actually talking about how there was going to be a second wizarding war.